A bachelorette party is the ultimate girls’ night out, but with an endless array of options, what type of event should you choose? Wine and painting add artistic flair to a bride-to-be’s memorable night, partnering savory sips with sparks of creativity. If you’re craving a one-of-a-kind experience, Reno, NV’s Canvas Junkies is an excellent choice. 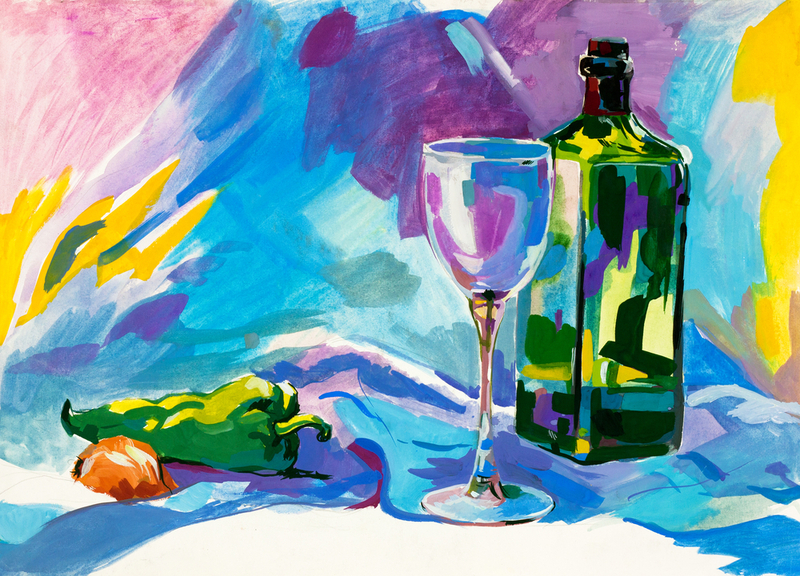 Learn what makes paint-and-sip parties so memorable. When you want to go above and beyond, wine and painting provide a unique experience. While other prospective brides trod down Las Vegas Boulevard, you can opt for an occasion that suits you. After a night of great wine and a stress-free painting session, you’ll wake up to something much better than a regretful headache—your very own piece of art! A painting party is a private event that offers two or more hours of nonstop fun. While the first hour is saved for socializing, the remaining time allows for painting, sipping, and creating souvenir art to hang in your newlywed haven. Paint and sip parties can include as few as 10 guests or as many as 100. They’re also an affordable opportunity everyone can participate in. Use the party to kick off a long night, or make it an affair in itself. A full-service bar is available to purchase beverages, which means non-drinkers can enjoy their favorite refreshments as well. With private studio space, you’ll have a party atmosphere all your own—complete with your favorite music, custom concoctions, and plenty of room to unwrap those anticipated gifts. At a painting party, you can surprise the bride even further by unveiling a secret, such as art created by her fiancé. This is one of the biggest nights of a bachelorette’s life, so make it one she’ll never forget! Wine and painting create the perfect pairing to get the party started, and Canvas Junkies can create a one-of-a-kind event for the bride-to-be. Visit their website for more information, or call (775) 221-7576 to book a bachelorette party today.